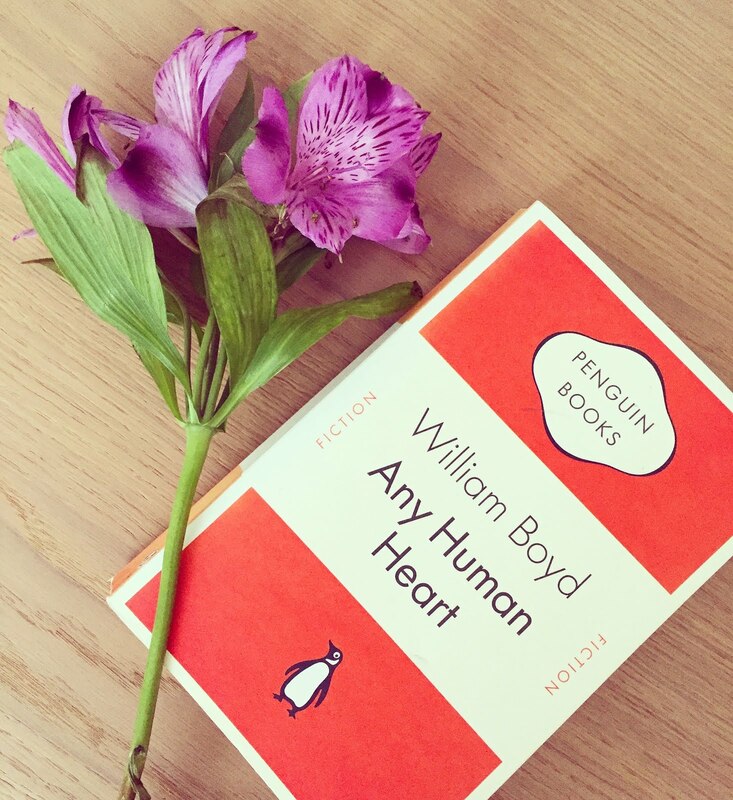 "Never say you know the last word about any human heart..."
Any Human Heart by William Boyd // I've just finished reading this lovely book and honestly didn't want it to end. The book follows the life of Logan Mountstuart - it is a diary of his life, from an energetic teenager to mellow elderly man. I was instantly fascinated with the story and grew to like our narrator, Logan, a great deal. Throughout the book we learn about and follow Logan's life, and wow, what a life he leads! He studies at Oxford, becomes a successful writer in London, moves to Paris and becomes a spy during the war, spends two years in solitary confinement in Switzerland, travels to New York to become an art dealer, packs up is life to become a lecturer of english literature in Africa, before finally settling down in rural France to spend his last years in the sun. Although my description may just sound like he enjoys travelling, trust me, this book is anything but boring. Logan experiences SO MUCH during his life and we are taken on endless adventures - we experience run-ins with incredibly successful people of the time: Picasso; Hemingway; Woolf; King Edward and Wallis Simpson to name a few. This book kept me utterly entertained as we followed Logan's crazy and well-travelled life. This is a fictional tale but I hung on to every sentence - reading this book is like reading the biography and diary extracts of a real man, who experiences real things and who lives a real life. The story features many hilarious points, but is coupled with equally devastating moments, and I'll admit, I shed a few tears at the end. Any Human Heart will leave you wanting/ wishing you could do more with your life. I suppose life isn't meant to be lived in the one place and Logan's life is statement of that - the character is constantly on the go, and experiencing life as much as he can. I would whole heartedly encourage everyone to give this book a read - it has secured a place in my 'favourite books' list and no doubt will stay there for a long time. I finished reading AHH last week and keep thinking about it, wishing the story had lasted just that bit longer. Have you read Any Human Heart? Would love to know your thoughts! Lovely book review, I've add it to my reading list. Logan sounds like a great character.